The Working Party on the Management of Mountain Watersheds (WPMMW) is a technical body under the umbrella of the European Forestry Commission (EFC), established in 1950, that promotes sustainable development in mountain watersheds by tackling the many challenges faced in mountain watersheds and ensuring the long-term provision of environmental services by watersheds for both upstream and downstream areas. 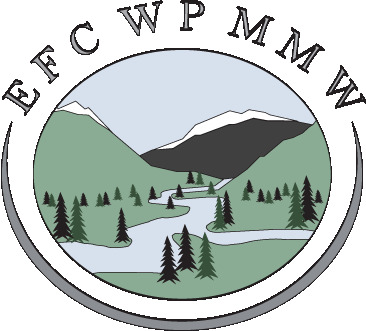 For over five decades WPMMW has successfully established a dialogue instance among European mountain stakeholders and allowed a common vision on best practices to promote sustainable development and enhance resilience in mountain watersheds. Soil and biodiversity conservation, water management, restoration of degraded lands, protective forest management and torrent-control in mountain watersheds are important challenges which require the collaboration of all the actors involved in the rational utilization of soil and water resources. The Working Party on the Management of Mountain Watersheds brings European mountain stakeholders together to promote sustainable development in mountain watersheds and the rational utilization of soil and water resources. The Working Party is continuously working to shape and react to emerging issues of global importance, maintaining an active reflection on the relevance and impacts of its activities. It established two Working Groups in 2011 that work on: Forest & Water, and Hazards and Disaster Risk Mangement in Mountains. The session will focus on the protective functions of forests in mountain watersheds in a changing climate. Forests provide many services; some of these are protective functions that are important for humans and the environment. Mountain forests indeed play an important role in actively protecting from avalanche detachment, hindering landslides, stopping rockfall, preventing erosion and reducing runoff through deep soil formation. The aim of the session will be to gather and share different experiences and impacts of protective forests in a changing climate. A field excursion will be organized to the Alpine Stubai Valley. The theme of the session will focus on the management of municipal watersheds in mountain regions, with special attention to impacts of long-term investigations in headwater catchments, on participatory watershed management and land-use policy. The aim is to identify environmental benefits of headwater control and to discuss uncertainties in estimating hydrological characteristics (water yield, runoff timing, probability of extreme events, water quality, and ecological discharge) and water scarcity in mountain catchments by changing climate and land-use. A planned field excursion will be organized on 6 September to visit headwater basins of the drinking water reservoirs Josefuv Dul and Sous in the Jizera mountains (Northern Bohemia).